Shortly after the end of World War I, the fall of an asteroid in the Atlantic causes a tidal wave and gives birth to a new island. An expedition sent by the French government discovers that it is made of iron... and gold! The exploitation of the new island could upset the world's economic order and start a new World War, as forces from all across the globe converge upon the "Golden Rock." 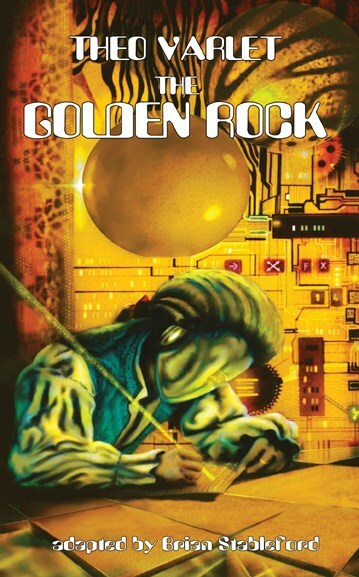 Penned in 1927 before the Wall Street crash of 1929 by the great Théo Varlet (The Martian Epic, The Xenobiotic Invasion, Timeslip Troopers), The Golden Rock is both a homage to Jules Verne and a novel with its finger firmly on the pulse of the real political issues and concerns of the 1930s, which it addresses with admirable verve and perspicacity. This edition also includes three more genre stories by Varlet.